We wanted to thank you very much for inviting us to Christmas at your house. Even though you made us wipe our paws when we came in from the yard, it was very nice of you to have the special, delicious treats for us. Our mom NEVER gives us dog treats like that! 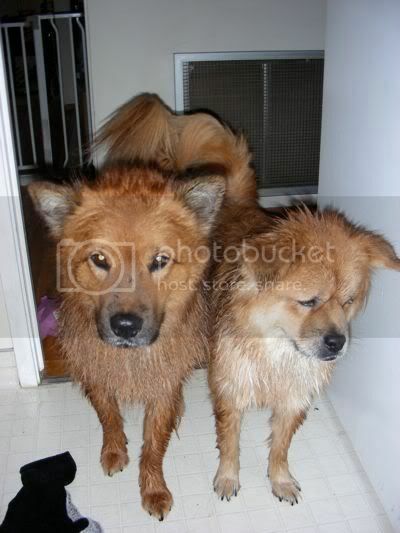 It was totally worth taking a bath and getting our butts shaved first.